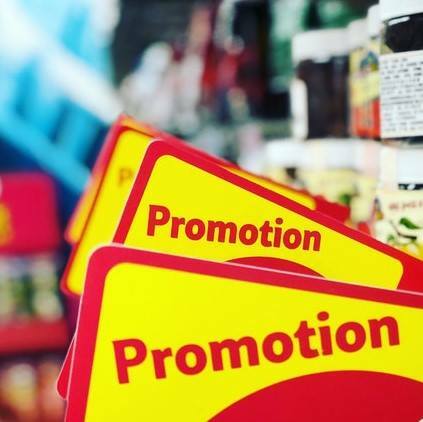 Online promos are the best way for customers to know more about your brand. 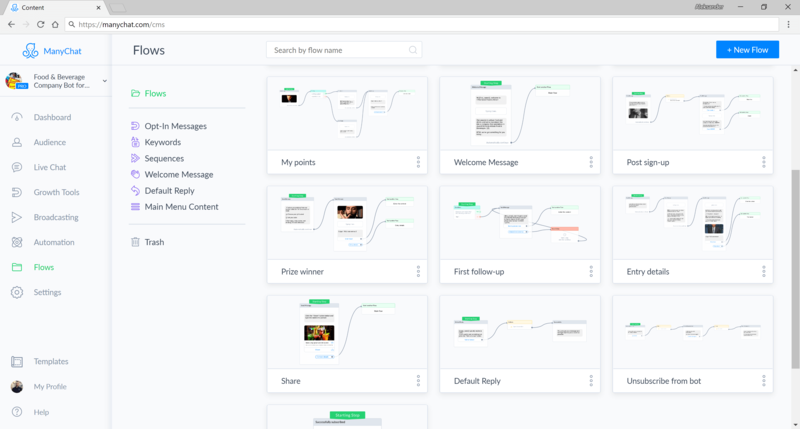 This Messenger Bot template sets everything up for you. It lets your customers easily submit their promo entries, while automatically getting them as leads. Everybody wins! Using ManyChat’s “Facebook Comments” growth tool, fans can simply join the promo by commenting on a specific post. 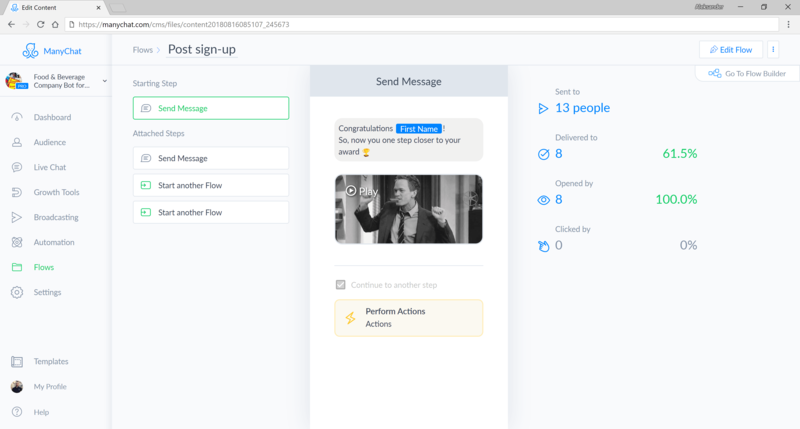 It also makes them automatic subscribers, able to receive relevant messages from your brand in the future. The Messenger bot encourages fans to submit as many entries as they want. The more points they have, the higher their chance of winning – and the more content your brand receives! Increase your fanbase’s involvement with automatic messages that suggest new submission ideas. Users can also invite their loved ones to join in the fun straight via the Messenger bot itself. 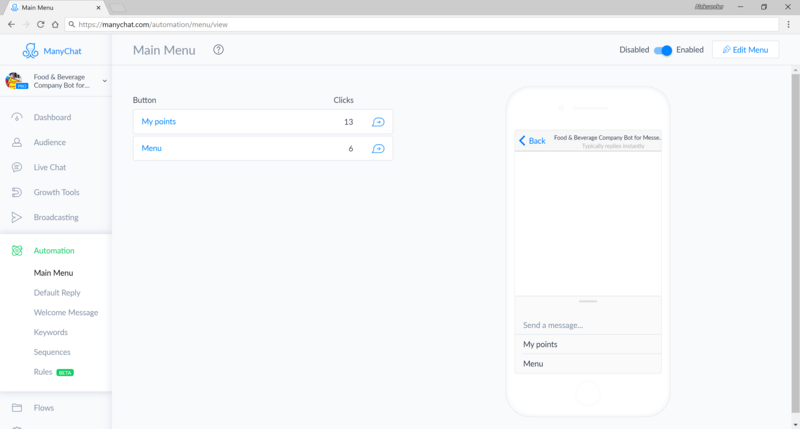 Use ManyChat’s global variables to show how many promo entries were submitted. 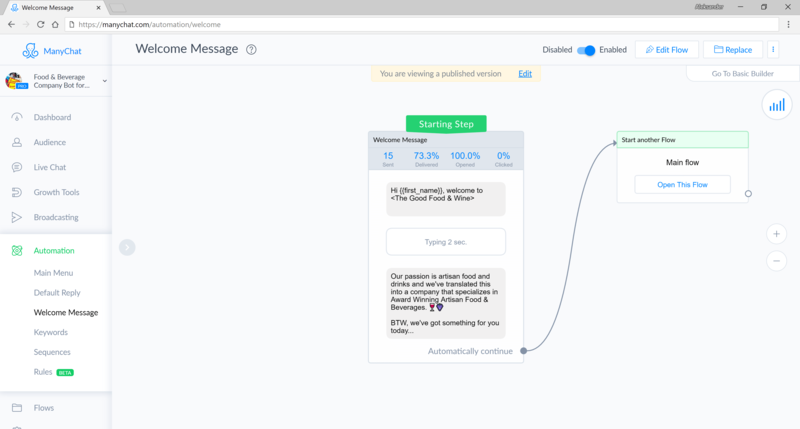 Bot administrators will get an email and/or Messenger notifications when a participant submits a new recipe.